Looking for a House, Condo or Townhouse for sale in the Grand Boulevard area of North Vancouver? The Grand Boulevard community is built around a boulevard between two lanes of the roadway, appropriately called Grand Boulevard, which was part of North Vancouver's landscape back before World War I. Grand Boulevard was successfully designed to be a showpiece neighbourhood. Real estate in the upper part of the Boulevard is on a flat plateau, with a number of early 1900s heritage homes, and a lot of bungalows. Many homes offer stunning views of the Burrard Inlet, Mount Baker, and Downtown Vancouver. The neighbourhood has some starter homes and many older homes have been recently restored and improved. A lot of new construction has recently entered the area. The east-west streets are tree lined and generally quiet and family oriented. Mature landscaping on the boulevard conveys the community pride in maintaining this well-established area. 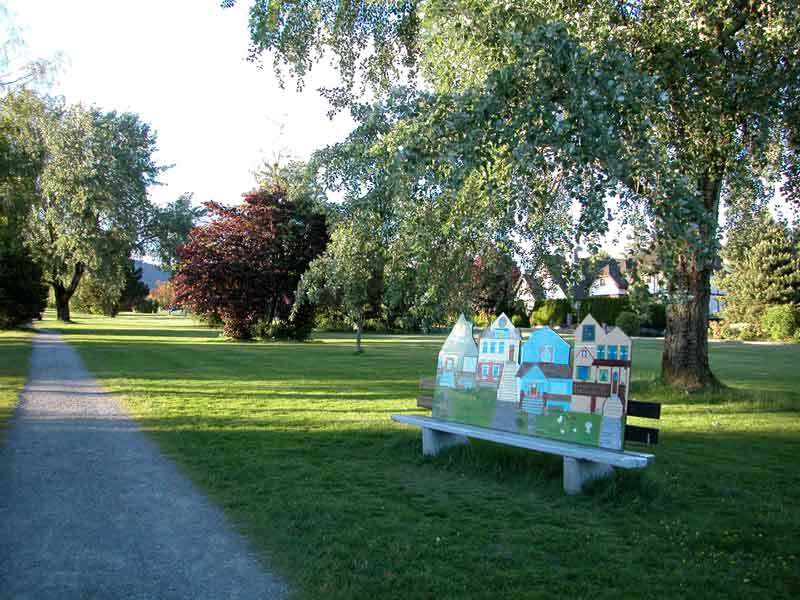 Large residential lots bring out the best in the Grand Boulevard neighbourhood. Please contact us to search for real estate in Grand Boulevard. The great thing about this area is that the “boulevard” itself acts as a wonderful green space for a park. There is also Boulevard Park, with a full size soccer pitch, tennis courts, basketball courts and city views. In addition, there is also Loutet Park which borders alongside the Upper Levels Highway. North on Grand Boulevard is the Lynn Valley Centre, with a good retail selection, and a popular Pub. To the west is all the shopping on the Lonsdale corridor, including the Lonsdale Quay Market. Just to the east on Keith Road is Park and Tilford Shopping Centre, with a movie theatre and supermarket. This is a gardener’s paradise community. Drive around and take a look! Entertainment can be found nearby in Lonsdale, Lynn Valley or at Park and Tilford. Go to the public library in Lynn Valley or on Lonsdale. The area is served by Brooksbank Elementary, Ridgeway Elementary, and Queensbury Elementary. The high school for the area is Sutherland Secondary school. Capilano University is relatively close by. Grand Boulevard is centrally located to many different regions of North Vancouver. Transit runs regularly through the area.